Would you like some FREE money to help grow your business? There are about 5 billion pounds of grant monies available in any one year through the National Government, European funds and even local authorities and other sources; the trouble is getting your hands on it! Well here is a little secret, they actually want you to take it! Yes; they want you to have that money and their jobs are on the line if they don’t manage to give that cash away! #1. 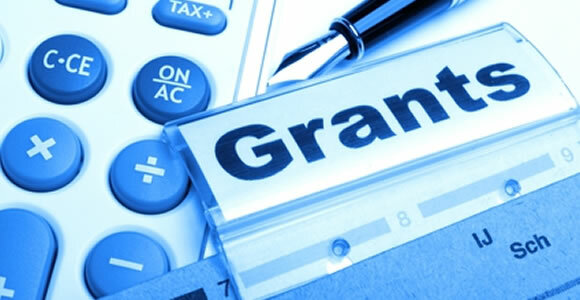 Know what the grants are and where you can get them. Do you know what grants are available in your local area, who is eligible and what they are for? The answer is probably not, but with so much money to give away there will be many available for various purposes in your region. So how do you find them? Well the easiest way is to get in touch with local business advisors in places like the business links, manufacturing advisory service and even your local bank manager or business banker. These guys should be able to tell you what is available. Failing that search the internet; there are a few sites that will give you details on available grants. Get in touch with the awarding body for the grants and start talking to the people responsible for handing out the cash. This is a great way to find out if your application will meet their criteria. They will never tell you if you will get the funding, but they will tell you if you will not; so you can prevent yourself from wasting time chasing money you will not receive. You can also build a relationship with them which will of course help during the application process. #3. Understand what the aims of the awarding body are. It is vitally important to fully understand the aims of the body that is awarding the grant monies. Your application has to benefit their aims; if investing in your project does not meet their objective then you will not get the grant. #4. Be creative in your applications. Many of the grants that you will find are environmental in nature, but that does not mean that you cannot use them for things like purchasing new plant or even replacing an old leaking roof if you think carefully about their objectives and your needs. New machinery for instance can be far more efficient than old for instance and will be able to reduce your company’s carbon footprint. In much the same way a new roof can prevent the escape of heat into the atmosphere reducing your heating bills and of course your use of our natural resources. There is always a way to make your project meet the objectives of a grant with a little thought and creativity. #5. Give them exactly what they want. The main reason that applications are rejected is that they just do not meet the objectives of the awarding body or they have failed to follow the instructions for the application correctly. Most application processes are very well documented and explain exactly what they require. Follow their instructions to the letter and tailor everything to their specific objectives. If you are not sure about something ask them. Read their website, their literature, everything and sell your specific project as something that meets everything that they are looking for. Use the buzz words that they use in their literature, if they keep talking about carbon footprints you should do the same. Follow these tips and I am sure that you will manage to get your hands on some of this grant money, but remember that this money is rarely to fund a project 100%; normally funding is matched funding so you will have to fund 50% of the cost of your project. Applying for grants can be hard work, one final free tip; if there is someone available in your area that does grant application writing and has a good track record, use them!